We have two classes in the same school working on this project. Both classes did independent research and then collaborated together to work on our first week's video. You will see third and Fifth graders talking and presenting what they found out about innovation. 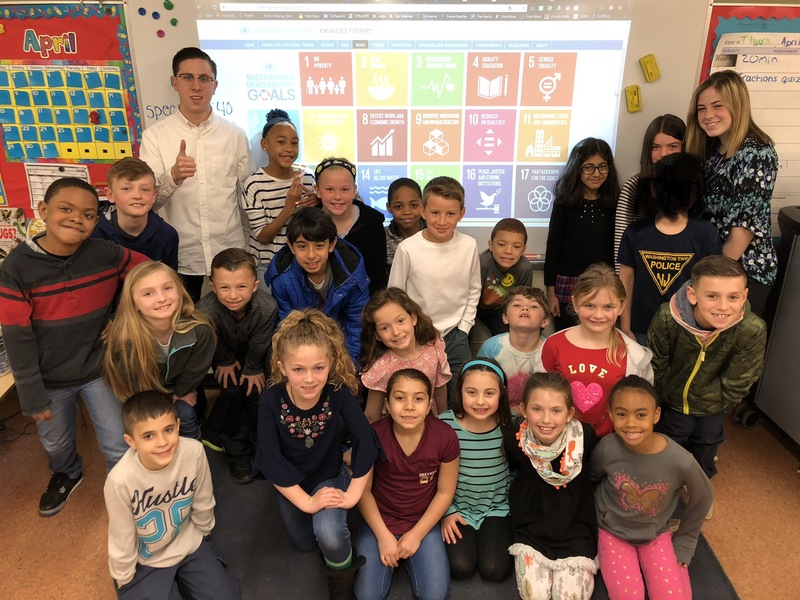 My third graders joined forces with a fifth grade class working on the project to come up with a better understanding of innovation and ways to help the world! My Students did research and made a top 5 list for clean water innovations out in the world! My Students used Screen-CastOmatic to share which tools they liked using the most during this project. They include Buncee, Kiddle, and Youtube. This is my fifth year teaching third grade. I am an educator, a tutor, an avid snowboarder, a skateboarder, I play guitar in a band, and I love being involved in my community. I feel as though we are all responsible for taking care of each other.